As private investigators, we’ve helped attorneys evaluate potential healthcare fraud claims against nursing homes, hospitals, physicians and other providers over the years. The vast majority of this research involves examining information already made public by state and federal agencies. But this information isn’t just for legal and healthcare professionals. It’s made public to help people make more informed healthcare decisions. However, most people probably don’t know this valuable data even exists let alone how easy it is to access. Hospital discharge planning can be a messy, harried process. One minute, you’re not sure if you’re getting out. The next, the nurse is telling you to pack up. And almost in passing, a case manager says the surgeon recommended a specific home health provider, then quickly asks you to sign off on the paperwork. At this point, you’ll sign anything just to get home. If your physician is referring you to a specific home health provider, ask why? It’s likely the case manager won’t know, and the physician won’t be around or immediately available, either. So ask for a list of available providers, then grab your phone, open the browser and get to work. Go to the Medicare Home Health Compare website, which you can find here. Type in your city and state. Here, in Washington, D.C., for instance, there are 38 home care agencies listed. But click on the headers to sort the list of companies according to patient care and survey ratings, and your list of 38 companies is quickly winnowed to fewer than six providers. In short, yes, Medicare might be footing the bill, but you are empowered as a consumer to make the best choice. So make it. On its face, this doesn’t sound too bad at all, right?. It’s almost as if you might expect to see a bigtime sports star working on their pitching motion after Tommy John surgery right down the hall. But leave the autograph book at home, because it turns out rehab facility is, in most cases, just a fancy term for nursing home. The risk of infection in a facility like this, no matter how clean, is significant. 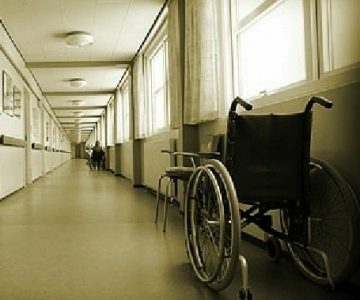 So it’s important to find out if the nursing home is not only clean but well run and free of significant health and safety violations. For this information, go to the Medicare Nursing Compare website found here. At one point, I was faced with the possibility a close family member might wind up in a rehab facility. After getting a list of facilities within the region, I found one with solid ratings not far from my house. But don’t rely on just the Medicare website. I paid an unannounced visit. Immediately upon walking inside, I turned right around. Why? It’s simple. The place smelled. It smelled bad. I spent 20 seconds inside. That was enough. There’s no category for first impressions on the Medicare website, but they matter, too. Sometimes a site check and a quick conversation with a friendly resident can tell you more than hours of research. Also, conduct a simple Google search. I researched another nursing home and found out it had a homicide a few years ago. While infection control, staffing and health inspection data certainly are all important, it doesn’t take a private investigator to tell you homicide tends to be something of a red flag. The bottom line: no matter what healthcare choices you’re facing, be your own investigator. Ask questions, take notes and do your research.